Tire yourself out.But not from the coughing, sniffling, or fighting off a headache that usually exhausts you.Because when you eliminate mold spores from your indoor space, your life gets so much better. Are mold allergies making you sick? Likewise, if you wait too long to take the trash out.But those things are strong and noticeable. What about the things that don’t carry such a strong, obvious smell to give them away? If its presence is strong, you’ll either see it or start to smell something musky. Not to mention the negative long-term effects mold can have on anyone’s health. When you can breathe better, everything is better. Sleeping. Waking up. Getting ready. Cooking. Meditation. Watching a movie. You name it, it’s better. 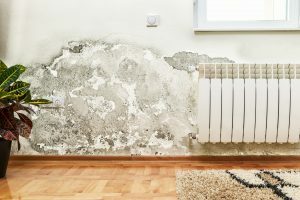 So even though mold is “natural,” it’s what’s known as a volatile organic compound (or VOC), which means that even though it’s naturally-occurring, it’s still harmful to the human body. The good news is, though, you don’t have to meticulously inspect your home every few days for visible traces of mold. 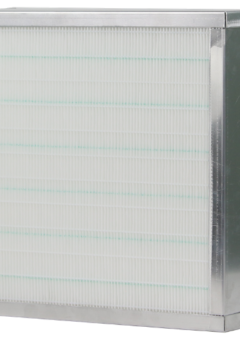 Something as simple as a VOC-focused HVAC filter can make a world of difference in your indoor air quality… actively removing any traces of mold spores… both purifying your air and reducing the amount of mold in your home if any. Indoor mold growth has long been associated with a musty or earthy smell, which most people find offensive. This characteristic smell has been found to result from the production of VOCs by various molds, such as Aspergillus and Penicillium species.Many different indoor molds produce VOCs, and a large variety of VOCs may be produced depending upon the species of mold, the specific conditions under which it is growing, and the substrate it is growing on. The VOCs produced by molds have been determined to be hazardous to the health since they can damage the olfactory system and even be transported into the temporal lobe of the brain via the olfactory bulb. Some mold-produced VOCs have been demonstrated to be neurotoxic or to cause pulmonary inflammation. Persons exposed to indoor molds and mycotoxins (including mold-generated VOCs) have been shown to exhibit symptoms such as poor memory and concentration, in addition to the more commonly known symptoms of eye and throat irritation. The CDC states “If mold is seen or smelled, there is a potential health risk…”, and the U.S. EPA offers an entire pamphlet for physicians entitled “Guidance for Clinicians on the Recognition and Management of Health Effects Related to Mold Exposure and Moisture Indoors”. Recommended mold-generated VOC control measures center around ridding the building of the source of the VOCs, namely the growing mold. Contaminated materials should be removed from the structure and disposed of, and the conditions which permitted the mold growth should be addressed.Additionally, the air inside the building will contain VOCs generated by the mold during the course of its growth. To prevent the health effects of VOC exposure, the building air should be purified. Air purification may need to continue for an extended period of time to allow any VOCs absorbed into the building’s interior surfaces, particularly porous surfaces, such as furniture or ceiling tile, to be released. Timilon, a leader in next generation decontamination and deodorization technologies, has introduced the EnviroKlenz-Air technology for non-invasive odor restoration. 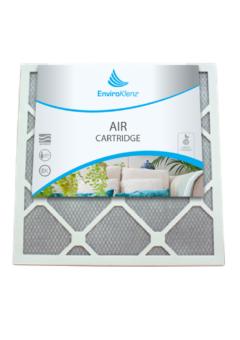 The enhanced chemical reactivity found in the EnviroKlenz-HVAC Cartridge makes it ideal for removing harmful mold-generated VOCs, thus improving the indoor air quality of water and mold damaged structures. Timilon’s proprietary EnviroKlenz-Air formulation contains a blend of high surface area metal oxides. The large surface area to volume ratio of the metal oxides makes them highly chemically reactive, and particularly suitable for chemical reactions involving destructive adsorption. 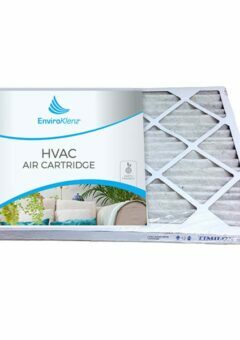 Microbial VOCs which contact the EnviroKlenz-HVAC Filter formulation are strongly adsorbed and removed from the air stream. Unlike the VOCs adsorbed by activated carbon filters, VOCs bound to the EnviroKlenz technology will not be released by off-gassing later. 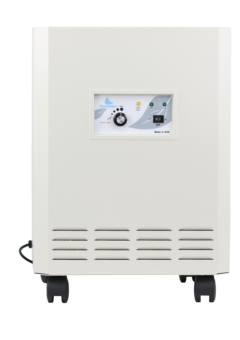 The EnviroKlenz-Air formulation was tested against 5 VOCs known to be produced by a number of different fungal species. For this testing, 0.1 g of EnviroKlenz-Air was placed into a headspace vial with ~ 3 μL of test VOC. The vial was capped and crimped, then vortexed to assure good contact between the EnviroKlenz-Air formulation and the test VOC. After 24 h, the vial was subjected to headspace analysis by GC-FID. 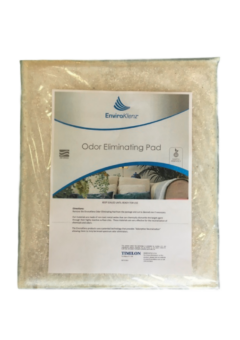 EnviroKlenz-Air is a revolutionary, non-invasive, odor restoration process that can rapidly restore an odor-compromised property to a workable and livable environment. 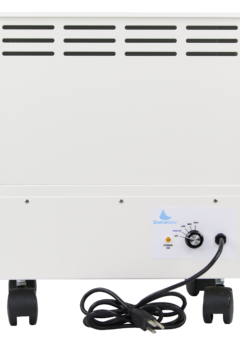 When a property has an acute odor issue caused by fire, water, trauma, or other nuisance odors, EnviroKlenz-Air can be immediately deployed in portable air scrubbers to begin restoring the environment. In closing, EnviroKlenz-Air is the most environmentally friendly odor restoration process available as it removes the airborne odor-causing molecules without releasing chemicals into the air like hydroxyl, ozone, masking agents or thermal fogging processes. The EnviroKlenz technology has been proven to be both effective and safe for the chemically sensitive and those suffering from environmental illnesses and is backed with a 30-day money back guarantee.